Mordecai is a older, urban neighborhood in Downtown Raleigh, North Carolina, with hundreds of homes in a variety of architectural styles. The Mordecai community also includes the Historic Mordecai Park, the birthplace of Andrew Johnson, the 17th president of the United States, and the Historic Mordecai House, which is the oldest house in Raleigh on its original location. Mordecai is a very popular popular neighborhood and homes usually sell quickly. 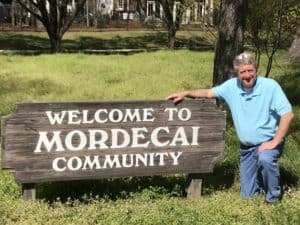 There is so much history in the Mordecai neighborhood. Read more about it here. School assignments for homes in Mordecai can be found here.